Large bat like wings which fasten over the shoulder with elastic. The wings have a wire surround and the net fabric covering them has bird like skeleton bones printed on. The bones are decorated with glitter. Wing span, when being worn stretches to 72cm and the length of wing is 50cm at the longest part. 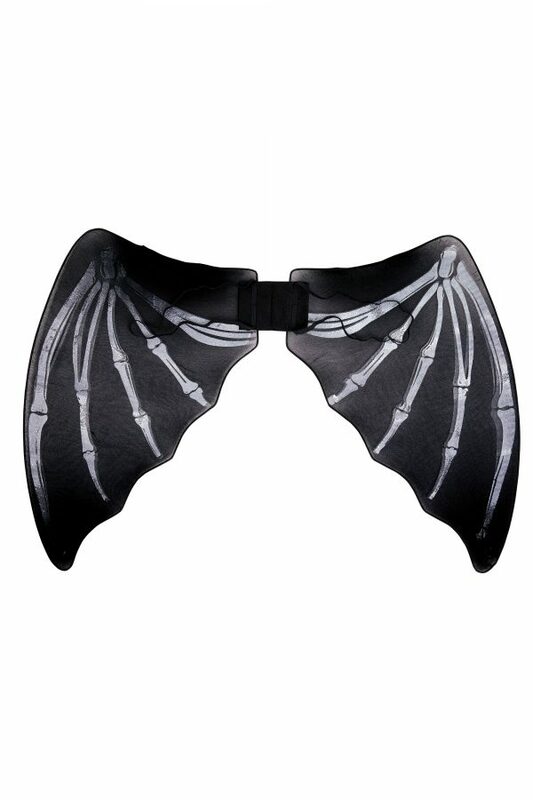 How about being a Winged reaper and wearing these while carrying our awesome new Grim Reaper scythe….